If you don’t view Atlanta as one of the country’s best culinary hotspots, we are here to change your mind. New restaurants are constantly opening in Atlanta, and that has generated a competitive culinary environment where chefs and owners are always stepping up their game to create the tastiest, freshest recipes and the most pleasing atmospheres. You may have heard about the numerous farm-to-table restaurants in Atlanta or that Travel & Leisure named the city one of the best cities for barbecue in America, but did you know Atlanta is also home to one of the most culturally diverse restaurant scenes in the country? Talk about a triple threat. From old favorites to hip new joints, we compiled a list of five can’t-miss restaurants your students won’t be able to stop talking about long after the trip is over. A unique take on traditional Texas-style barbeque, Fox Bros. Bar-B-Q is a must-stop on your trip to Atlanta. 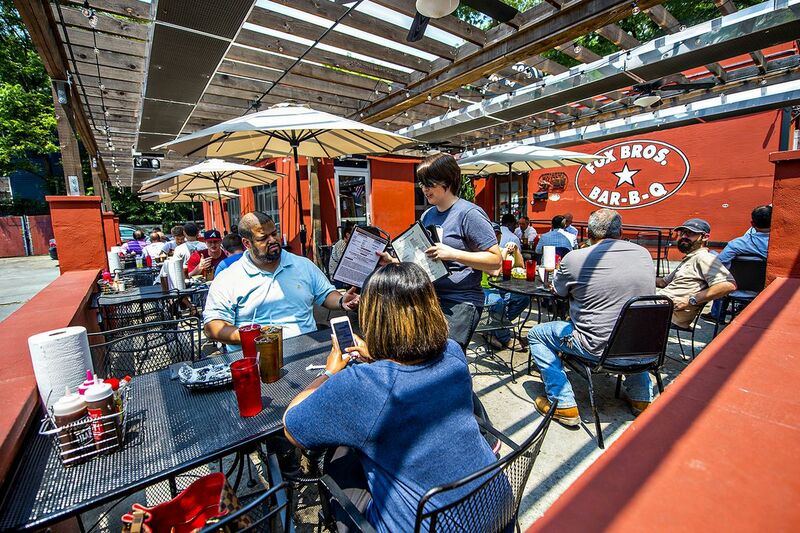 As a testament to its tastiness, Fox Bros. Bar-B-Q has been recognized by a number of big names like Good Day Atlanta, TLC, HGTV and The Food Network for its delicious southern classics and mouthwatering meats. Located in Candler Park, the huge restaurant is easy to spot not just because of its size but also the crowd that constantly surrounds this Atlanta favorite. Despite its continued popularity, service is quick and efficient, so your students won’t have to wait too long to fuel up. Still, we recommend visiting on a weekday rather than the weekend to minimize waiting time for your group. True to their Texas roots, the Fox brothers believe in going big or going home, which is clear by the large portion sizes that your students are sure to devour after a long day of sightseeing and adventuring. Popular menu options include chicken-fried ribs, Frito pie and the Fox Bros. “burger,” which replaces a traditional patty with chopped brisket covered with bacon. We would hate for any members of your group to miss out on this delicious barbeque experience, which is why we are happy to report that Fox Bros. Bar-B-Q also features vegetarian options like the Smoked Portobello Sandwich or the Pimento Cheese Sandwich. From the relaxed and inviting atmosphere to the killer BBQ dishes, it is clear why Fox Bros. Bar-B-Q is the official restaurant of football’s Atlanta Falcons. If you want to give your students an authentic taste of Atlanta, The White Bull is the place to go. Drawing inspiration from famous American author Ernest Hemingway, “the White Bull” refers to the name the writer called the equally terrifying and exciting blank page which held the opportunity to become anything he could imagine. Similarly, the owners of the White Bull saw their restaurant as a place to express themselves and grow their passion for cooking. They made it their goal to provide a unique take on Italian farm-to-table classics through using every single ingredient they come by as creatively as they can. The modern-rustic restaurant has plenty of room for your large group of students with space to serve up to 80 guests at a time in addition to menu options that will please everyone from meat-eaters to vegans. Supporting over 30 local farms, all the ingredients prepared at the White Bull are harvested at the peak of their growing season right in Georgia. 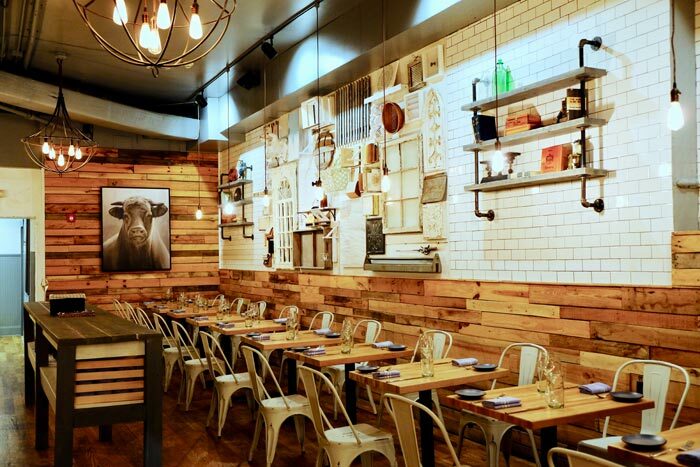 Environment and community-focused, the White Bull makes it a priority to promote natural eating, cooking and growing practices in its dishes. The daily menu is determined by which ingredients are available at the time, which means every dish incorporates the freshest seasonally, regionally and sustainably grown ingredients. Previous menu items have included tasty ingredients like baby greens, squash blossoms, ricotta, peaches, gnocchi, shrimp and heritage pork, but because the dishes are always changing, you will just have to stop in and see for yourself. You might be surprised to learn that Atlanta doesn’t just have some of the best BBQ around, but also offers a global culinary experience unlike any other. A six mile stretch of Buford Highway is a mixing pot of exotic cuisine from over 20 countries. Introduce your students to authentic Colombian, Korean, Mexican, Chinese, Vietnamese and Central American cuisine, among many others. Popular restaurants along the highway include Nam Phuong with an extensive 20-page menu of Vietnamese classics (we dare your students not to find something that piques their taste buds) or Sushi House Hayakawa, for some of Atlanta’s freshest sushi made by the chef and owner, Atsushi Hayakawa, who students can watch prepare their delicious dishes. If your hungry travelers are craving Mexican food, we recommend El Potro Mexican Restaurant for homemade salsas, authentic Mexican cheese and vegetarian beans. We also suggest stopping by the only Bangladeshi restaurant in Atlanta, Panahar Bangladeshi Cuisine, for an unbeatable $10 buffet. Your students could wander into any one of the international restaurants along the highway and be perfectly pleased by the delectable cultural flavors it offers. We know taking a trip to Atlanta is amazing enough on its own, but why not stop by Italy while you are there? From Juliet balconies overlooking the Italian-inspired entryway to traditional Neapolitan pizzas, Amalfi Pizza will give your students an authentic taste of Italy. The preparation in making the delicious pizzas is true to the process used in Naples in the 1600s, utilizing fresh ingredients from the Campania region of Italy to form the 12-inch-or-less pizzas. They are then cooked in temperatures exceeding 900 degrees for an unbelievable 60 seconds. To achieve these high cooking temperatures, two 6,000-pound, wood-burning brick ovens were imported straight from Italy. These ovens also serve as the focal point of the 170-seat dining room. In addition to the charming ambiance, your students are sure to love menu options like the house specialty, Pizza Amalfi, featuring hand-crushed San Marzano tomato sauce, spicy sausage, caramelized onion and peppadew pepper or the classic margherita pizza with mozzarella and fresh basil. We suggest your students order their pizza “Carnevale” style with fresh ricotta-stuffed crust if they have a love for cheese. For students who would prefer something other than pizza, the menu also features pasta dishes, fresh salads and calzones stuffed with ricotta and mozzarella. You can’t go to Georgia without giving your students a taste of some classic southern comfort food. 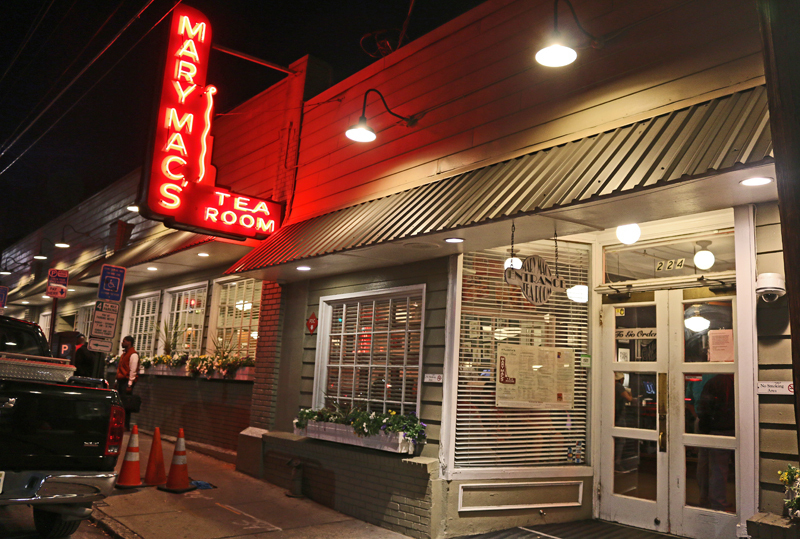 Opened in 1945, Mary Mac’s Tea Room is the last of 16 tea rooms that had populated the Atlanta area in the 1940s. After 70 years and three different owners later, the location and the made-from-scratch recipes have remained the same as they were when Mary McKenzie opened the doors for the first time. Southern menu favorites include fried okra with horseradish dipping sauce, Brunswick stew with chopped turkey and pulled pork, golden fried hushpuppies and fried chicken livers for the more adventurous eaters in your group. 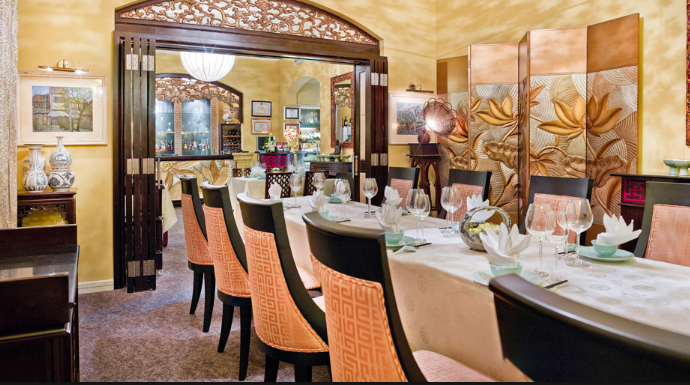 Over the years, the tea room has grown from one dining room to six and blossomed into one of the South’s most well-known restaurants. With six dining rooms, there is clearly plenty of room for your students, but Mary Mac’s makes the planning process even easier for you with the option to book a private room if you have a minimum of 20 people in your group. Keeping with the tradition of Southern hospitality, Mary Mac’s Tea Room keeps every guest in mind by using vegetable/canola oil for frying, so it is safe for people with peanut and tree nut allergies. If exceptional service with a smile isn’t something you are looking for, we recommend staying away from this option.